Statistics released by the Department for Business, Energy and Industrial Strategy, have revealed that the number of energy efficiency improvements delivered to households has fallen to the lowest level since the launch of the Energy Company Obligation (ECO) in April 2013. ECO is the Government’s flagship energy efficiency scheme which requires energy suppliers with over 250,000 domestic customers to help address fuel poverty and reduce carbon emissions by providing measures to improve vulnerable households ability to heat their home. Click here for more information. Between October and December 2018, the number of boilers installed was just 2,557, 97% less than the number installed during the same period in 2013. Furthermore, there were 6,461 installations of loft and wall insulation during the last 3 months of 2018, a fall of 98% on the installations in 2010 during this period. Fuel poverty is influenced by poor energy efficiency of a home and with 2.55 million fuel poor households in England, these figures are disappointing. 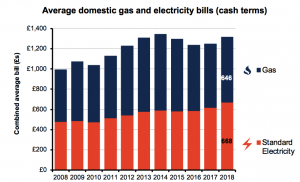 End Fuel Poverty Coalition member, National Energy Action (NEA), have attributed the decline in installations to the Government failing to pass legislation and issues guidance in time for ECO3, which began in October 2018. NEA’s media release can be viewed here. 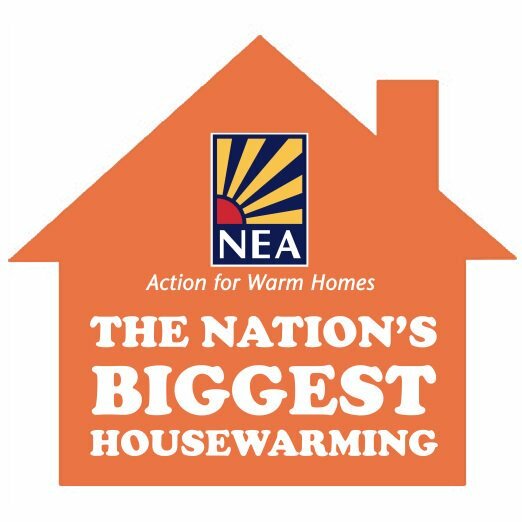 End Fuel Poverty Coalition members E3G and National Energy Action (NEA) have revealed that more than 17,000 deaths last winter were due to cold housing conditions. This is twice as many people who died in winter 2016/17. In 2017/18 there were 50,100 excess winter deaths (the number of deaths between December and March compared to those outside of these months) in England and Wales. This is the highest on record since 1975/76. The findings have been released on Fuel Poverty Awareness Day, a nationally recognised day to raise awareness of fuel poverty and the importance of living in a warm and safe home. Figures released by the Office for National Statistics today estimate that in 2017/18 there were an estimated 50,100 excess winter deaths (the number of deaths between December and March compared to those outside of these months) in England and Wales. This is the highest on record since 1975/76. 15,000 of these deaths are thought to be linked to living in a cold home. These deaths were avoidable and could have been prevented. “These figures are deeply shocking. We saw a staggering 40% leap in excess winter deaths last year compared with the number over the previous 5 years. There are many causes for these extra deaths, but over a third of them will have been related to living in a cold home. Individual responses from members of the EFPC can be viewed by clicking on the members name; Age UK and National Energy Action. Ofgem, the regulator for gas and electricity markets, has announced the level and timing of the price cap on default tariffs. This will mean energy suppliers will be required to reduce their prices to either the level of, or below the cap. Ofgem’s announcement can be downloaded here. The cap will come into effect on 1st January 2019 and will be set at £1,137 for a typical dual fuel customer who pays by a direct debit. Consumers are expected to save an average of £76 each year, with this increasing to £120 for those on the most expensive tariffs. Those customers who are in receipt of the Warm Homes Discount but do not have a prepayment meter will be placed onto the default price cap and no longer on the safeguard tariff. Members of the End Fuel Poverty Coalition have issued individual responses to Ofgem’s announcement. You can read these by clicking on the member’s name; Citizens Advice and National Energy Action. The Government has today announced new energy efficiency regulations under which landlords are required to spend up to £3,500 installing energy efficient measures into the lowest energy performance rated properties (F and G). “Over 45% of households living in F-and G-rated privately rented homes are fuel poor. These are homes that are cold, draughty and damp. Today’s announcement – that landlords will have to spend up to £3,500 to improve them – is a step in the right direction, but a minor one. The End Fuel Poverty Coalition (EFPC) has responded to the Department for Business, Energy and Industrial Strategy (BEIS) and the Ministry of Housing, Communities and Local Government (MHCLG)’s call for evidence on Energy Performance Certificates (EPCs). These are used to measure the energy performance of a building and are an imperative tool in promoting a buildings energy efficiency. The EFPC’s response focuses on the role of EPCs in the private rented sector, particularly houses in multiple occupation (HMOs). Energy efficiency problems, such as damp and unhealthily low temperatures, are more prevalent in HMOs, with these properties often occupied by vulnerable people. However, the domestic Minimum Energy Efficiency Standards (MEES) only apply to HMOs with an EPC, of which there is no obligation for an EPC to be obtained for individual self-contained units with a property. We welcome the Government’s recognition that the exclusion of HMOs from the Private Rented Sector Minimum Energy Efficiency Standard (MEES) should be addressed. The EFPC advocates for the introduction of a requirement for an EPC for the whole building to be produced when a single unit in the building is marketed for rent and strongly endorses that MEES and EPCs are better aligned. You can download the EFPC’s full response here.